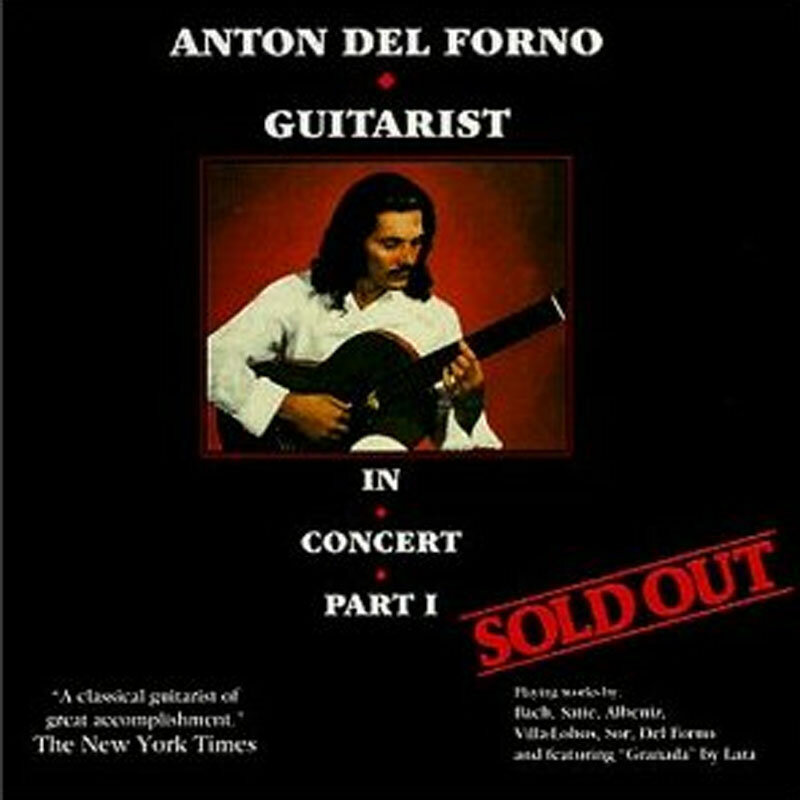 Anton Del Forno releases new album Live in Portugal. 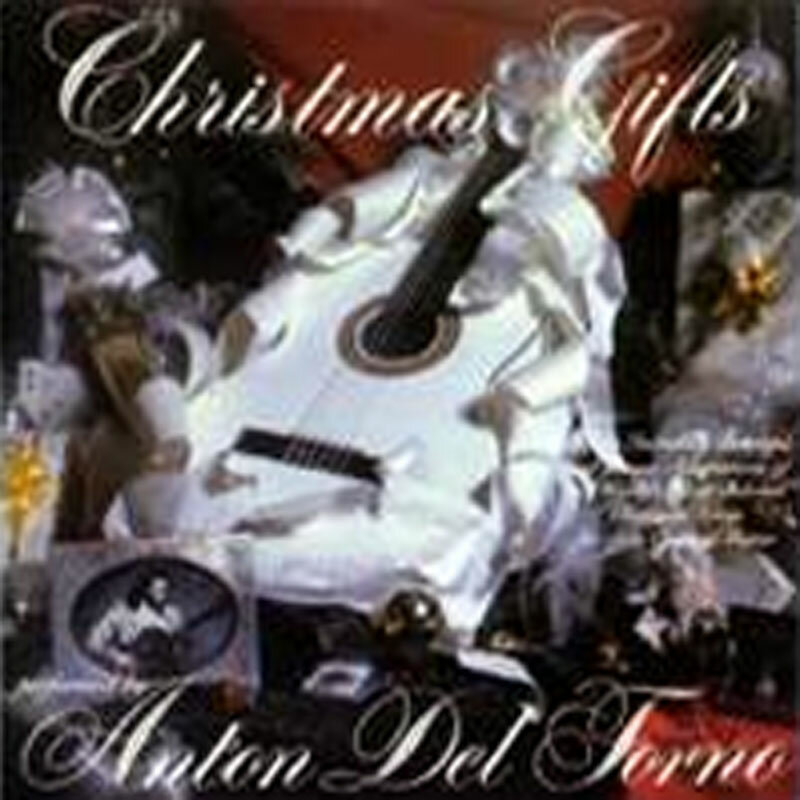 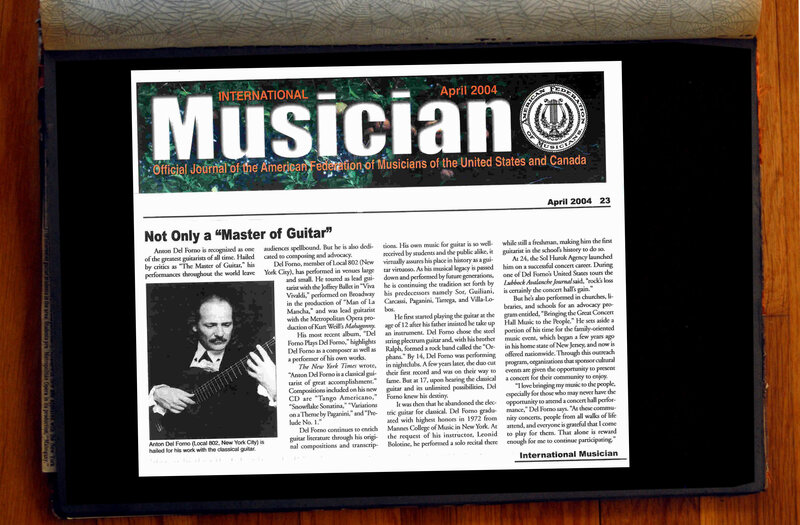 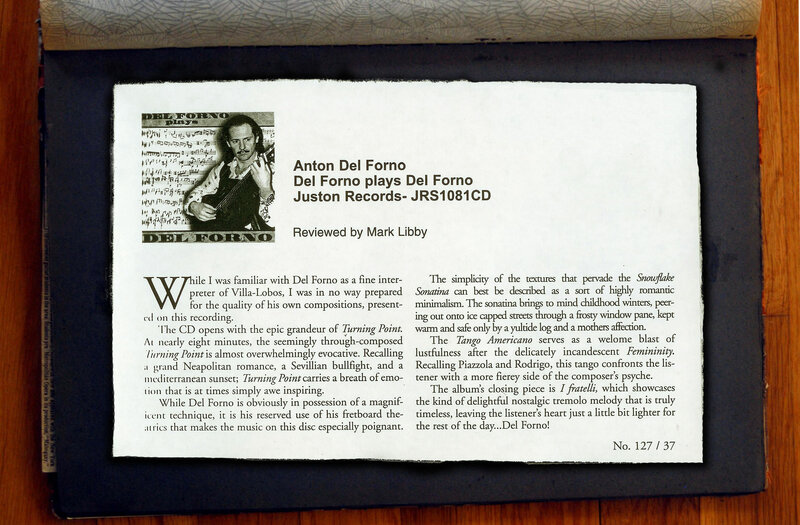 FREE MP3: "Study in C Major with Variation"
Anton Del Forno plays a classic. 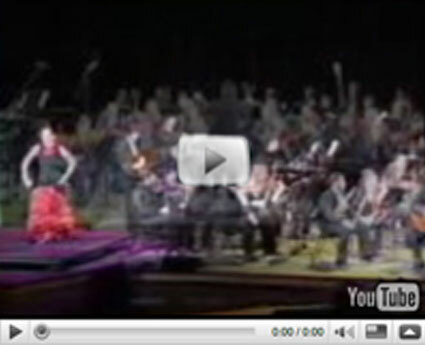 Bringing Concert Hall Music To Local Communities. 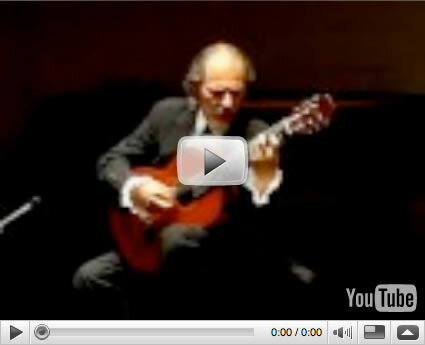 Anton performs Malaguena at the Bridgewater Library, Bridgewater NJ. 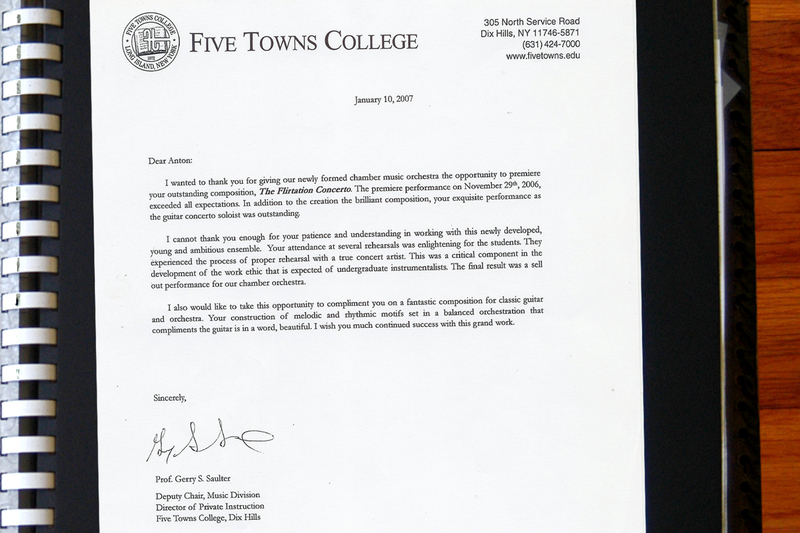 Through his outreach program, Anton brings a concert hall experience to communities on a local level. 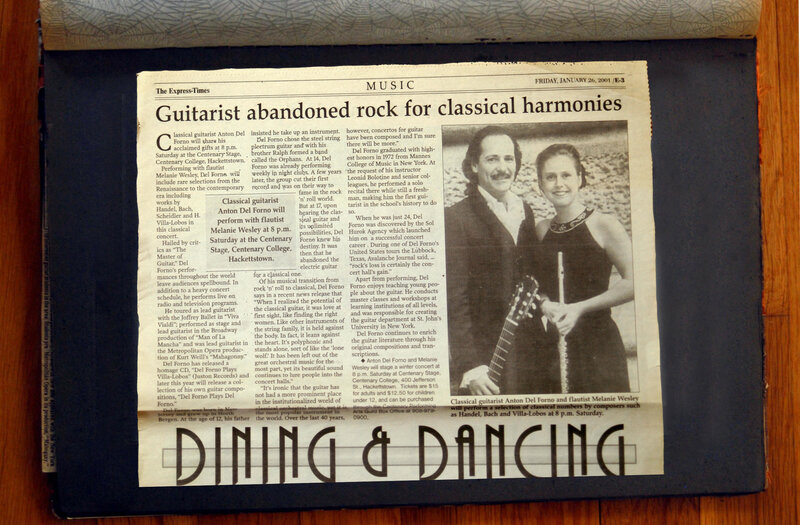 Often performing in an intimate setting for organizations looking to broaden their community's exposure to the arts. 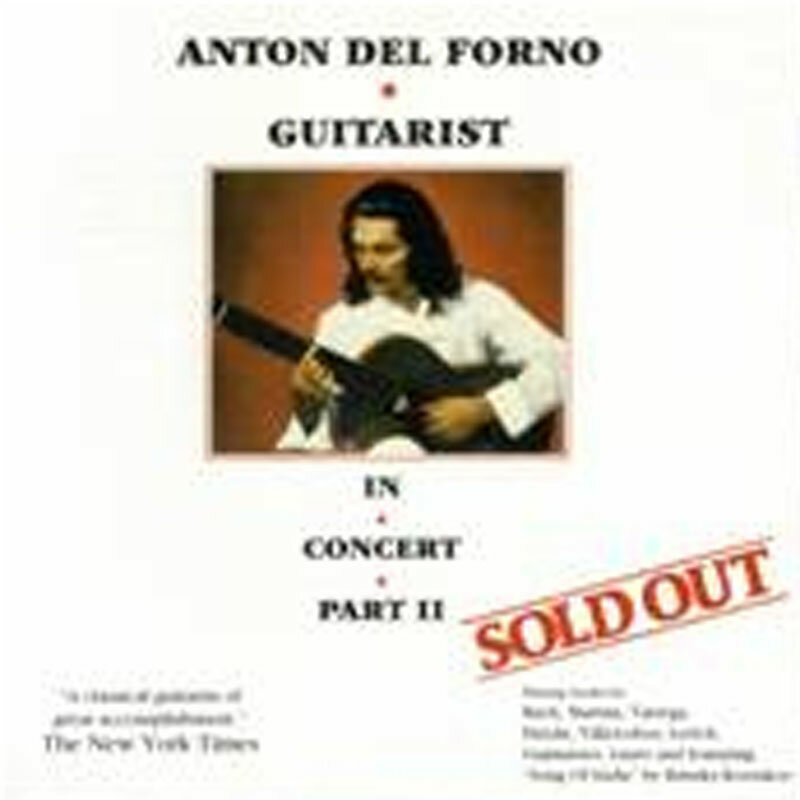 Excerpted from Anton Del Forno's Flirtation Concerto for guitar and orchestra. 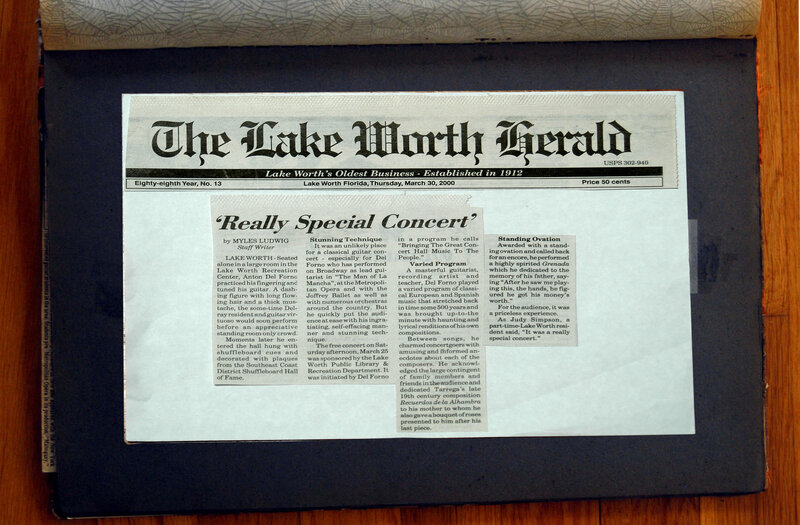 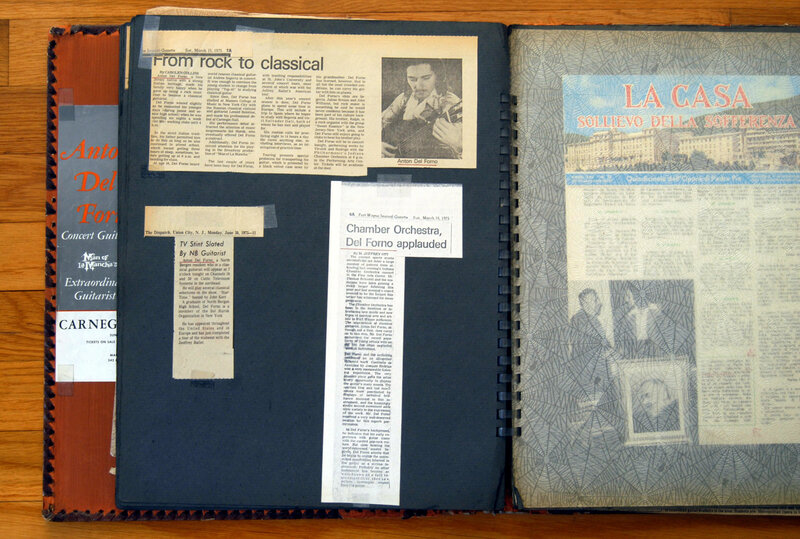 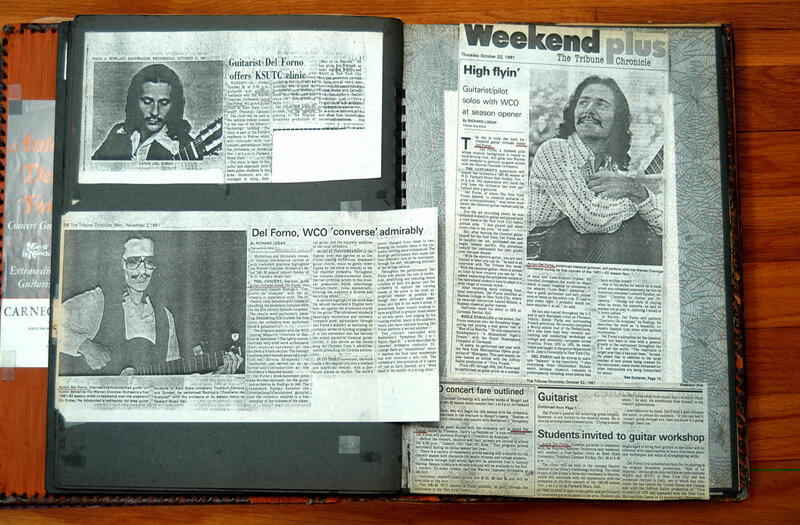 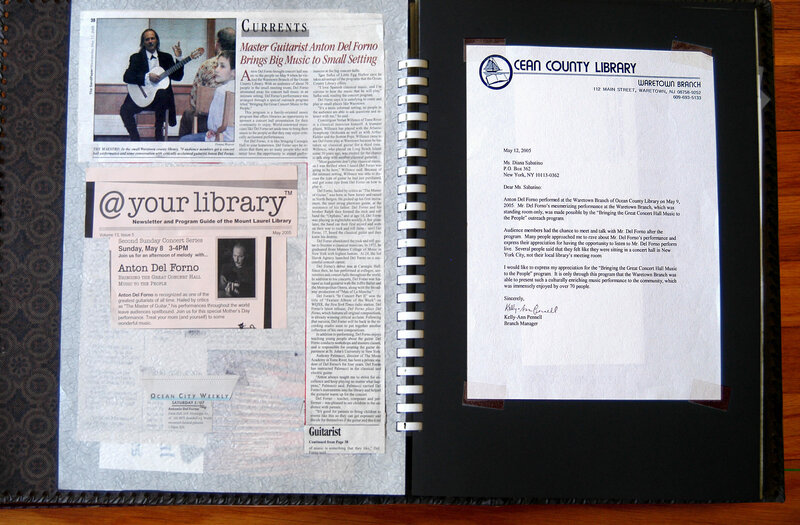 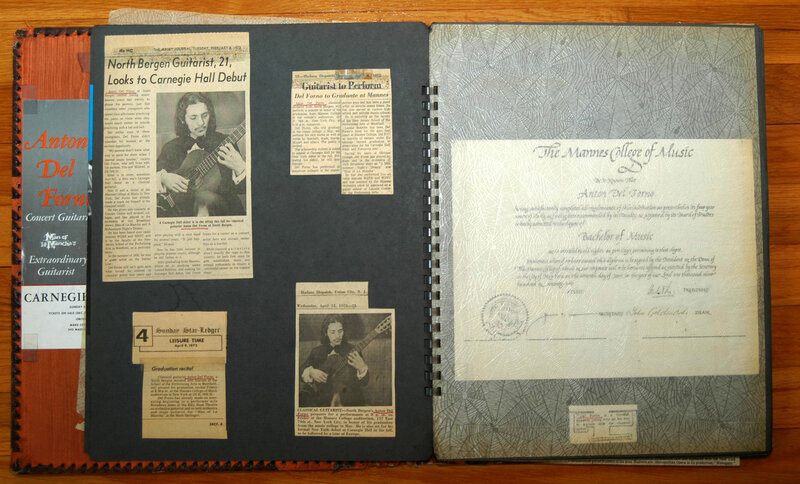 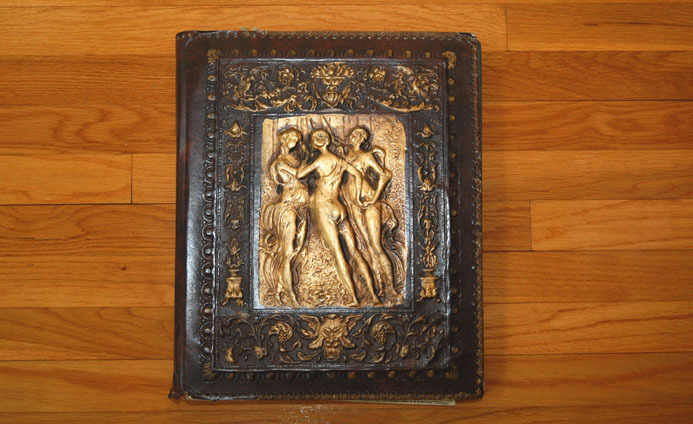 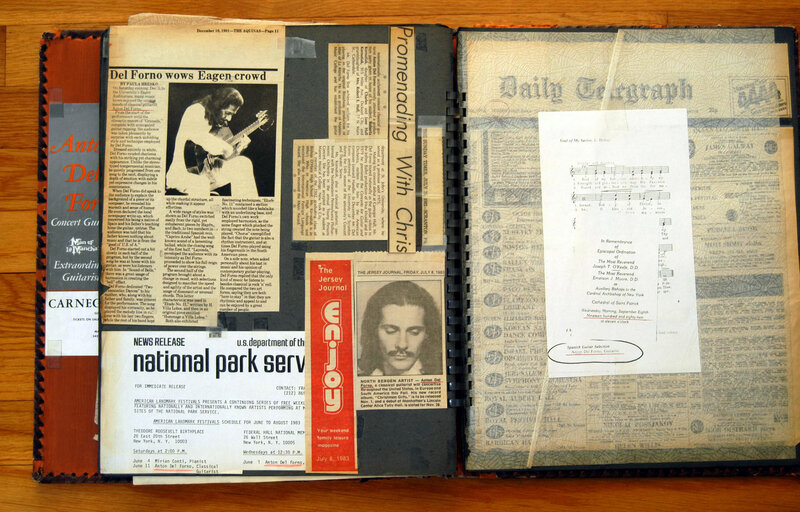 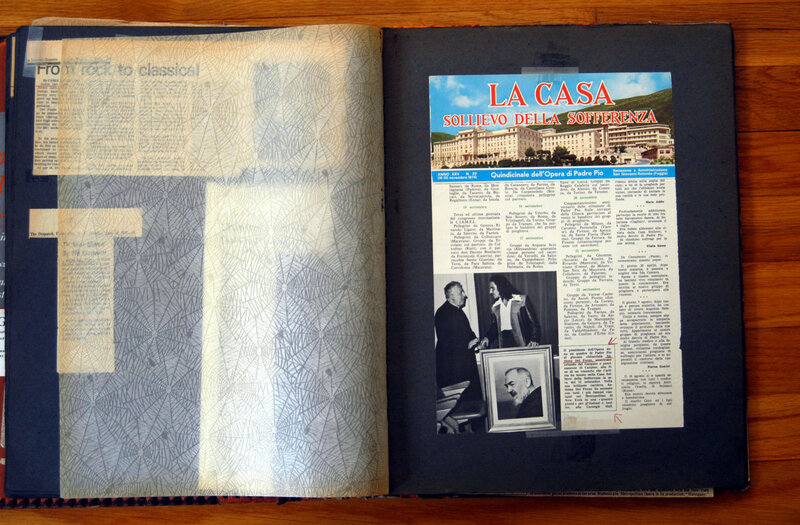 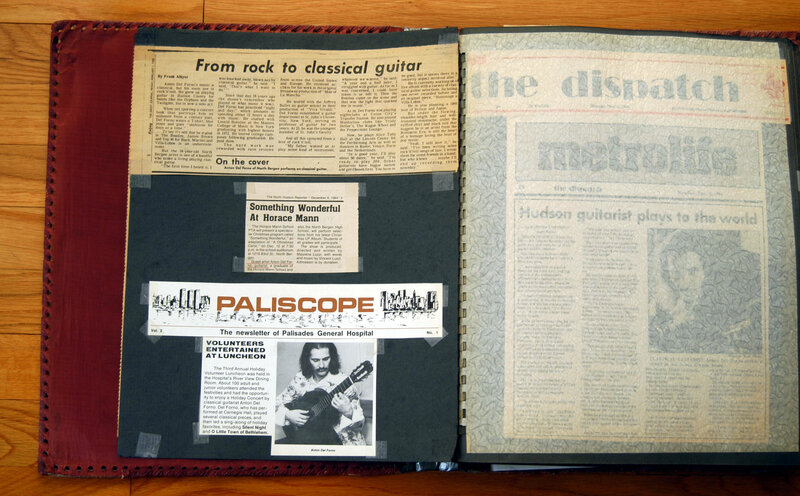 To read articles from Anton's Scrapbook, please click to enlarge and then click-and-drag to move around the pages. 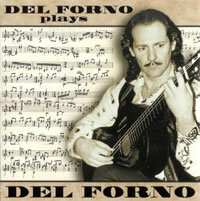 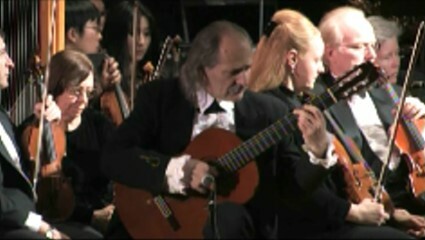 Del Forno performs a variety of composers' works, his own transcriptions and an original composition all with deep emotion and dazzling technique.